Central Chemical Consulting has a long history of provision of quality R&D and technical services to the mineral sands industry. 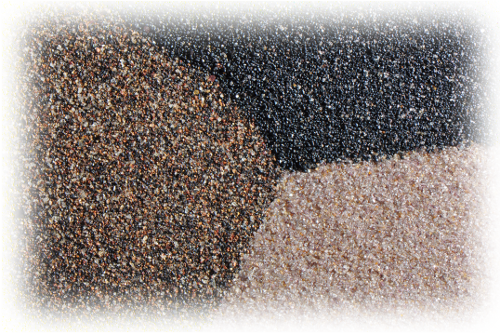 Central Chemical Consulting has worked with mineral sand producers in a variety of areas. We have carried out projects to improve the chemical and physical environments for mineral sand attritioning, and to modify clay rheology for pumping and de-watering slurries. In both cases, Central Chemical Consulting showed that large improvements could be obtained using low cost chemical additives. Another example of our work for the mineral sands industry was the development of an abrasion resistant conductive coating for high tension electrostatic rolls. These high tension rolls are used to provide enhanced dry separation of zircon mineral sand. In a project initiated primarily by the mineral sands industry, Central Chemical Consulting developed an improved heavy liquid for laboratory testing. The project successfully produced an improved heavy liquid (LST Heavy Liquid) with the low viscosity, low toxicity and thermal stability needed for many industrial and research applications. LST Heavy Liquid has now been proven and used in over 60 countries. In addition, Central Chemical Consulting has provided technical input to assist with the titanium dioxide production process. A project in this area was to examine the mechanism of vanadium removal from process liquor, and included a literature review of available information, laboratory scale trials and advice based on the results.